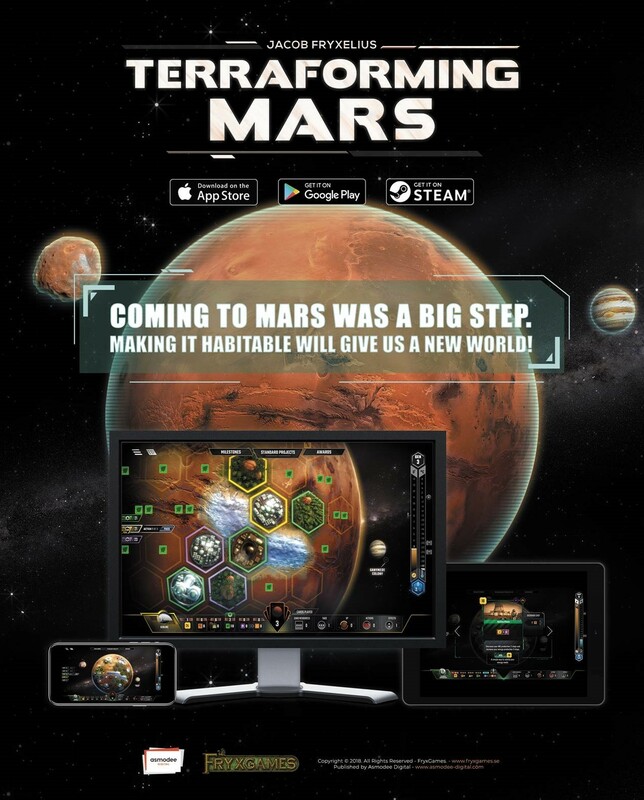 In cooperation with Asmodee Digital and Luckyhammers, we are proud to present the digital version for Terraforming Mars, which will let players experience our board game on their PCs, tablets, and smartphones. The official launch date for the PC version is October 17th, and we also look forward to the launch on iOS and android later this year. Make sure to add the game to your wishlist on Steam!